One-time Aussie cupboard-dweller Julian Assange has been charged with conspiracy to commit computer intrusion by the US government. 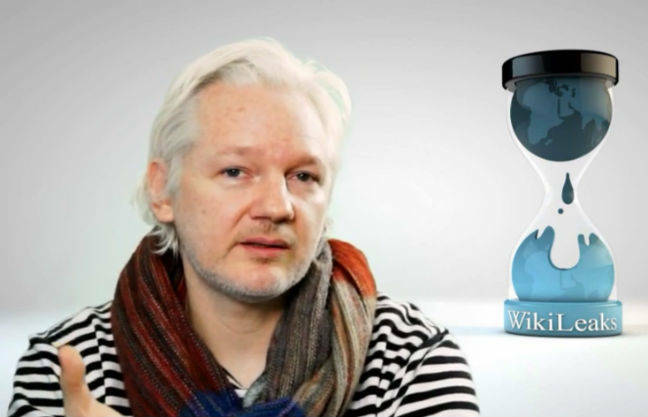 Shortly after his arrest in London today – which followed the Ecuadorian embassy handing him over to British police – a US indictment dated March 2018 was unsealed. It charges Assange for his part in a computer-hacking conspiracy from 2010, when hundreds of thousands of secret US cables, war reports and briefs were released after being leaked by US Army intelligence analyst Chelsea Manning. The US Department of Justice alleged that Assange had conspired with Manning – who had top secret security clearance – to break into Pentagon computers and snag the document cache. The indictment (PDF) was made in the Eastern District of Virginia. It alleges that Manning and Assange had multiple conversations about getting the files, with Assange helping her hack a password stored on Department of Defense computers, in a “password-cracking agreement”, and discussed measures to conceal Manning as the source. The indictment said that Manning downloaded four nearly complete databases, and the vast majority of the documents contained were then released on Assange’s WikiLeaks website. These contained, according to the indictment, about 90,000 Afghanistan war-related significant activity reports, 400,000 Iraq war-related significant activity reports, 800 Guantanamo Bay detainee assessment briefs and 250,000 US Department of State cables. The government said Manning told Assange she was “throwing everything” at getting a set of documents, but that was “all I really have got left”. To which Assange allegedly replied: “Curious eyes never run dry in my experience.” Manning was then said to have used a Department of Defense computer to download the State department cables. Assange was arrested in London this morning for a breach of bail conditions, and then later further arrested on behalf of the US after the Met received an extradition request. He is currently in court in Westminster, where District Judge Michael Snow has reportedly found him guilty of failing to surrender on 29 June 2012, and has sent him to the Crown Court for sentencing. He could face up to 12 months in prison.